Create an entity for Psi-punk: Corps and Criminals. The chosen winner will score a free PDF copy of Psi-punk and their corporation, cartel, or gang will be featured in the upcoming sourcebook. Write an entry for a mega-corporation, cartel, or gang using the following information as guidance. Entries should be no more than 750 words. 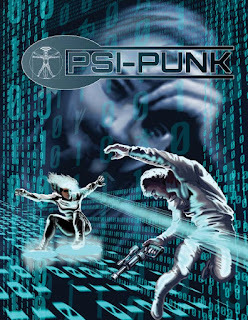 We will choose the best entry and feature it in the upcoming Corps and Criminals sourcebook, and the chosen winner will receive a free PDF copy of Psi-punk. 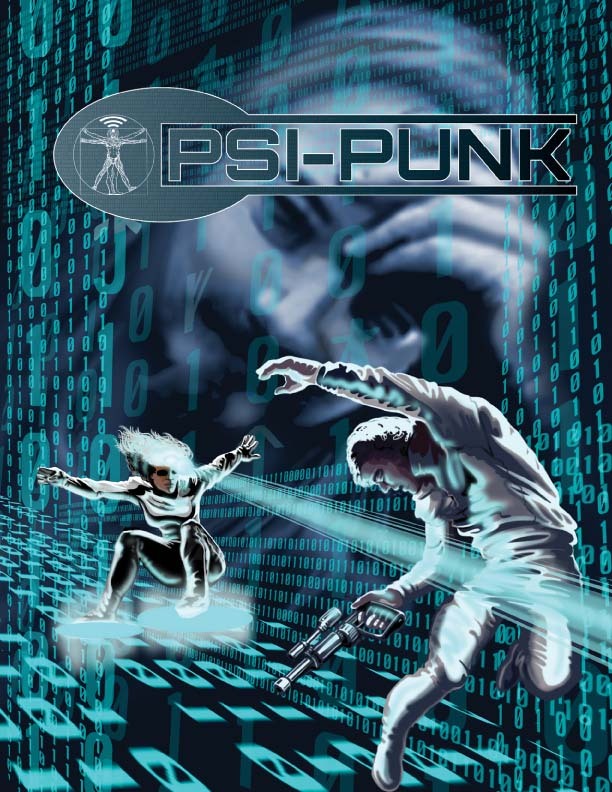 All participants will receive a 20% discount to purchase Psi-punk from RPGNow, so even if your entry isn't chosen you're still a winner. Entries must be submitted via e-mail to jacob@accessiblegames.biz on or before 11:59 p.m. PST on July 7th, 2013. The winner will be reviewed and announced by July 21st, 2013 on the Dorkland! Blog. By entering this contest, you agree to allow Accessible Games to use your winning entry in the Corps and Criminals sourcebook (with or without modifications). You will also receive a free PDF of this sourcebook and credit for your entry as a contributor. To be eligible to enter this contest, you must not be Jacob Wood (unless your name happens to be Jacob Wood and you are not the owner of Accessible Games). Only one entry per person will be accepted, so make it your best. Descriptions of Megacorporations, Cartels, and Gangs--use the following information to help you craft your entries. "No entity in the world holds as much wealth and power as a mega-corporation. Even governments bend to the will and beg for the influence of these powerful organizations which run nearly every facet of our daily lives. From manufacturing and selling the clothes we wear and nano-food we eat to establishing armed militaries and peacekeeping forces, mega-corporations truly run the show. Mega-corporations, also known as mega-corps or corps, vary wildly in the types of services they offer, goods they manufacture, and people they employ. They do all hold one thing in common, though: they operate worldwide. Every mega-corp has offices in multiple countries and across multiple continents. The largest of them even have bases of operations on the moon, although that territory is still primarily an international safe-haven. Most mega-corps have adopted their own corporate cultures. Employees often dress the same, behave the same, and in some cases even speak their own corporate language regardless of which country the employee is from. Though slight regional differences do exist, it’s easy to tell one Macroware employee apart from a Magicorp employee no matter which continent they’re on. Mega-corp employees tend to identify as corporate citizens first and national citizens second. Corporate patriotism is strongly encouraged, and some of the world’s top players even participate in the Olympics as sovereign entities. This is to the chagrin of many governments who prefer to keep a strong hold on their people, but few governments possess the power to truly oppose this gradual leeching of citizens. As long as everyone continues to pay their taxes, most governments quietly accept the new norm." What is your corporation's name? What is their industry of expertise? Briefly describe their corporate culture. What else should we know about them? "Strictly speaking a cartel is not a criminal organization. The term refers to any formal agreement between competitors to control a market in such a way as to benefit all of the members. These agreements usually include such activities as price fixing, bid rigging, and rigorously controlling the supply of goods. Any cartel that is not government sanctioned is illegal, as are the practices they employ to control a given market. The fundamentally secretive nature of cartels, coupled with the greed of members who seek to cheat on the agreement and improve matters for themselves, makes them highly unstable and prone to in-fighting. It is possible for multiple cartels to form in a single industry, which rarely ends well. Criminal cartels are especially likely to war with one another for control. In common use, the term refers to any number of alliances that controls one specific area of crime. Drug cartels, ghost cartels, weapons cartels, and human trafficking cartels are some of the most prominent criminal organizations in public awareness, and for good reason. These organizations control much of the world’s illicit activities and much of what appears on the news can be attributed to one of these institutions. Cartels are responsible for supporting gang activity, resisting corporations, toppling governments, and employing street runners to handle some of their heavy lifting." What is your cartel's name? What kind of cartel is it? (Drug cartel, ghost cartel, gun cartel, trafficking cartel)? A ghost cartel is an organization that employs ghosts -- computer hackers who literally merge their consciousness with the 'Net -- to steal sensitive information from others. How does the cartel operate? "Gangs battle it out in the slums and ghettos of the world’s cities and constantly war over turf, resources, and whatever scraps of respect they can attain. Police often ignore the petty crimes that gangs commit as long as they’re carried out against each other, but when a gang oversteps its boundaries and starts mugging citizens or robbing local convenience stores the police are forced to intervene. Occasionally the police send squads of gangbusters into the sprawl to take down particularly powerful groups of ruffians, but for the most part their stance has been to let them kill each other… for the good of mankind. Most gangs are street-level criminals who don’t make it out of the little league. It takes truly organized criminals (see Chapter 2: Cartels) to go pro and break into the national circuit. Gangs usually have a territory ranging from a few city blocks to a few neighborhoods in width, but a truly powerful gang may even rule over most of a city or small county. When a gang oversteps its boundaries and wanders onto another’s turf, bad things happen. The best case scenario is that the gang in charge of that area runs the other off its land by showing its strength and authority – usually with violence. If both gangs are equally matched a gang war may ensue and bloody battles are waged in the streets for days or even weeks on end. When this happens, it’s usually up to the police and their gangbusting squads to come in and put an end to the in-fighting before too many innocent lives are lost in the cross-fire. In a bid for dominance, some gangs may intentionally challenge others. Many of the more organized gang leaders have aspirations of one day making it big and taking over the town, and they’ll do whatever they can to prove themselves worthy of fear and respect. In most cases this behavior results in a lot of dead gang leaders, but in a few instances groups will consolidate and become a stronger force." What is your gang's name? What else should we know about the gang? Thank you and also be sure to check out +Accessible Games and +Jacob Wood on Google+. If you aren't following the +Dorkland Blog! or myself (+Christopher Helton), you may want to do that as well. My G+ feed is an augmentation of this blog. Good luck. If you have any questions about your submission, do not leave them in the comments of this blog, or its related social media feeds. All questions directly regarding the contest should be directed to Jacob Wood.